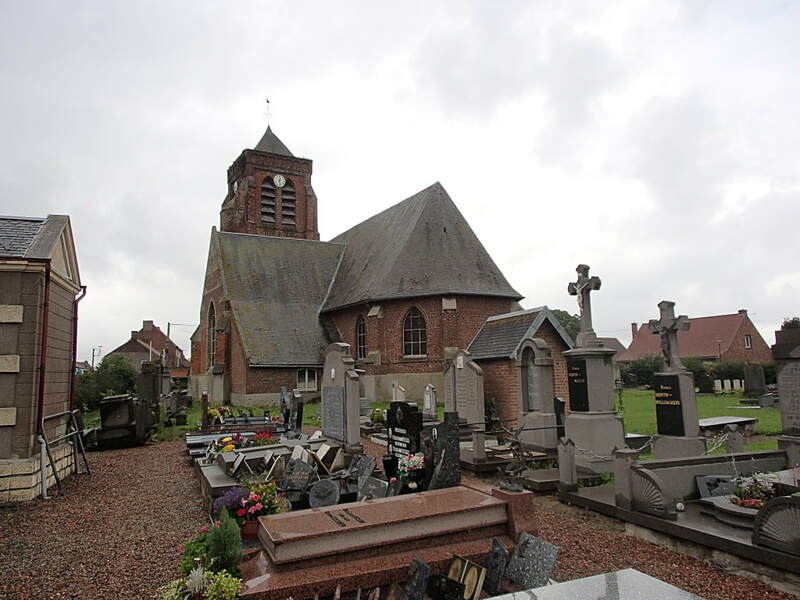 Pradelles is a village about 34 kilometres north-west of Lille and just over 5 kilometres from Hazebrouck. 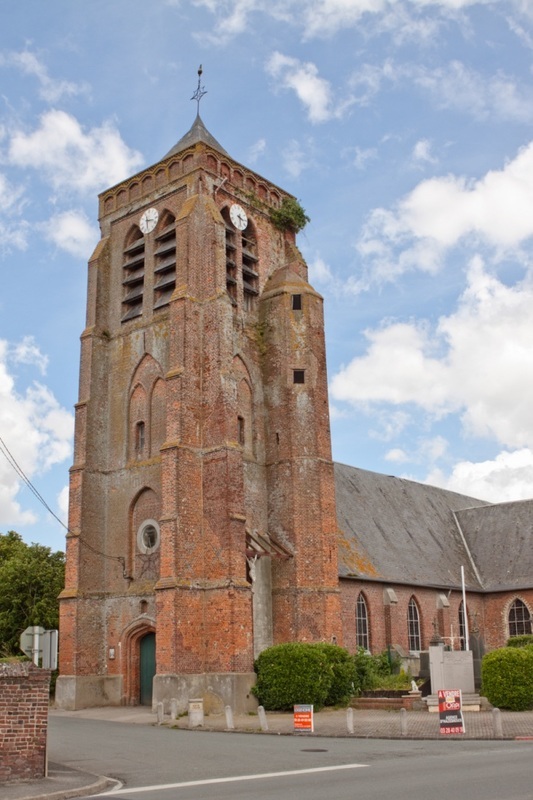 The village is on the Hazebrouck-Bailleul road. The Churchyard is located in the centre of the village. There are 4, 1914-18 burials, one of which is unidentified and 6, 1939-45 burials, of which 5 are unidentified. 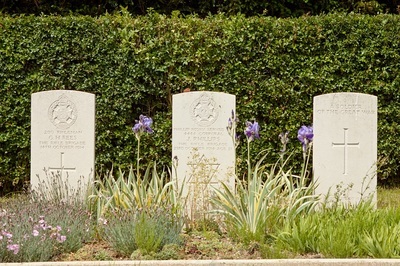 8th May 1918, aged 26. Son of Ambrose and Sarah Amelia Radburn. 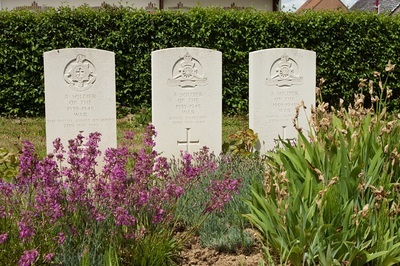 Born at Neville, New South Wales. 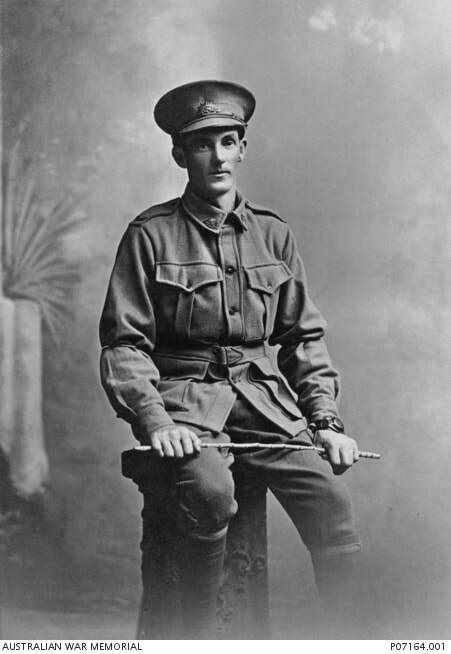 Studio portrait of 7030 Private (Pte) Russell Wallace Radburn, 2nd Battalion, of Bodangora, NSW. 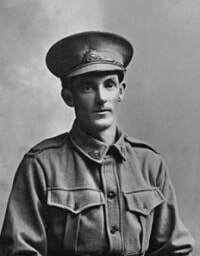 A labourer prior to enlistment, Pte Radburn embarked on aboard HMAT Benalla (A24) on 9 November 1916. 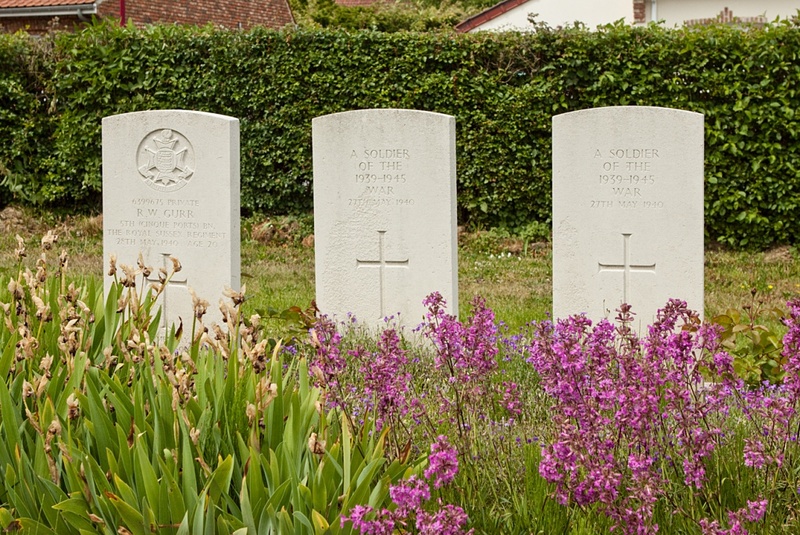 He served on the Western Front and was wounded in September 1917. 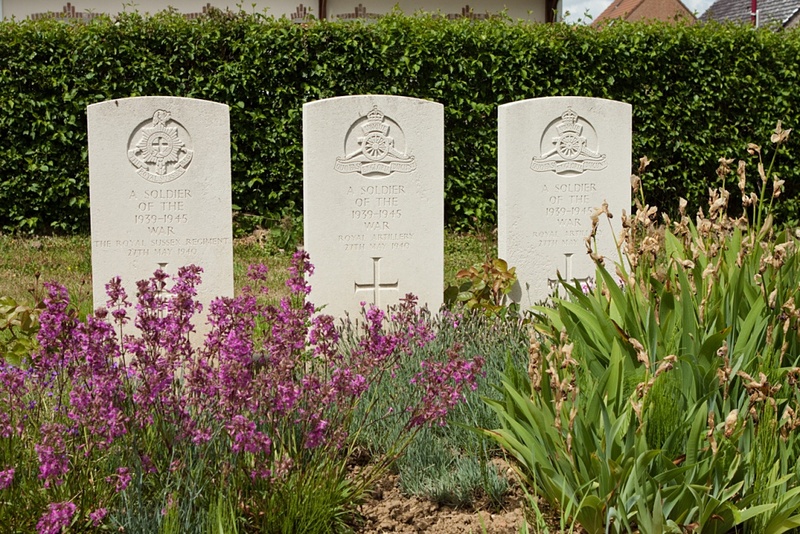 He returned to service in December and was transferred to the 1st Machine Gun Company in January 1918. 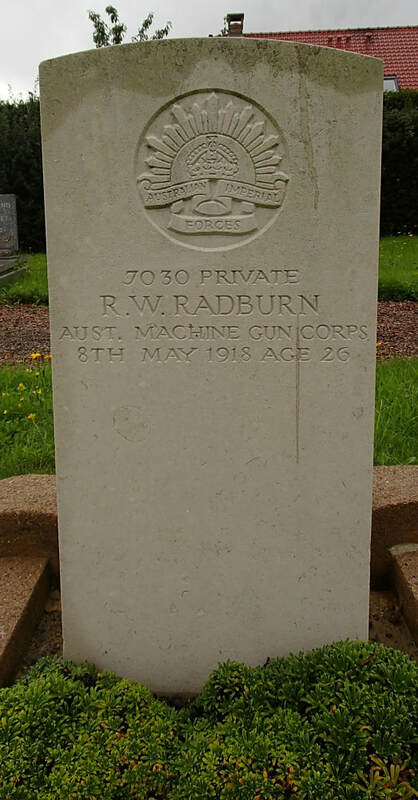 On 8 May 1918, Pte Radburn died near Pradelles, Northern France, of wounds received in action. 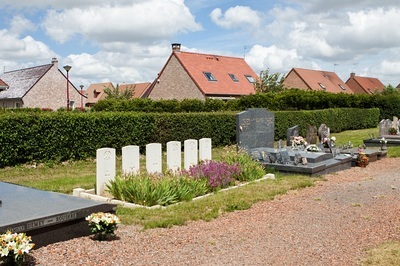 He was 26 years of age. 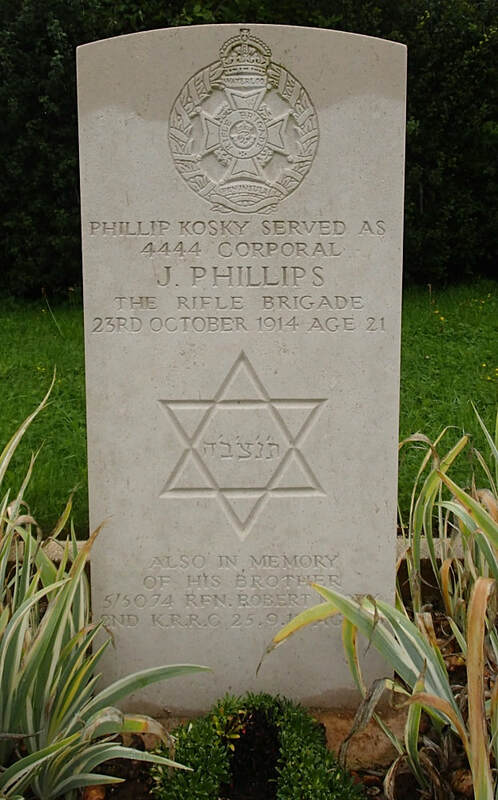 4444 Corporal Phillip Kosky (Served as J. Phillips), 3rd Bn. Rifle Brigade, died 23rd October 1914, aged 21. Son of Hyman and Louisa Kosky, of 6, Lydia St., Stepney, London. 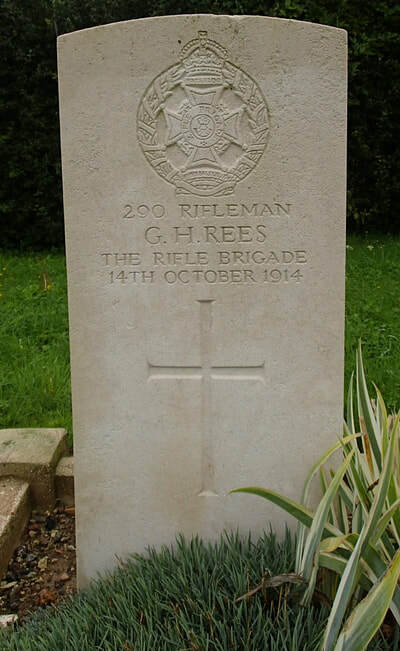 290 Rifleman G. H. Rees, 3rd Bn. Rifle Brigade, died 14th October 1914. 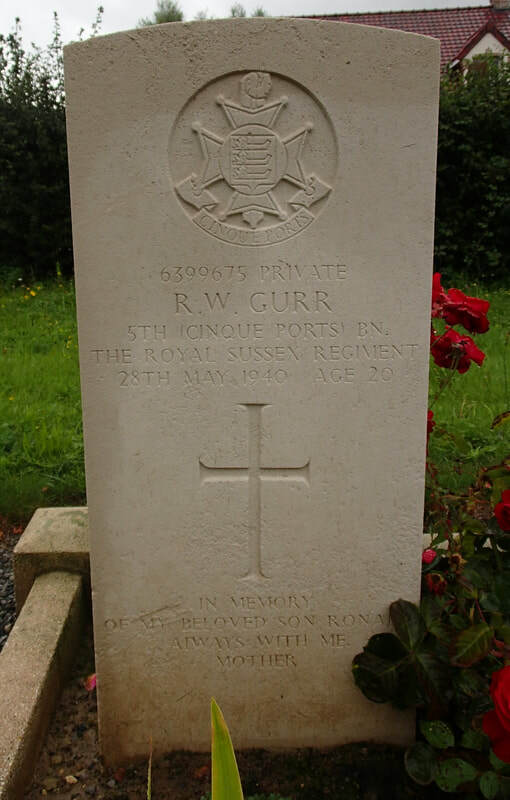 6399675 Private Ronald William Gurr, 5th Cinque Ports Bn. Royal Sussex Regiment, died 28th May 1940, aged 20. Son of William and Beatrice May Gurr, of Crowborough, Sussex.